School’s about to start and we thought we’d throw a huge party for all of our kids! 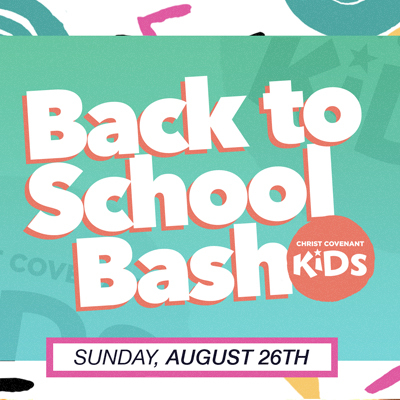 And we’re going BIG for our Back to School Bash with a ton of totally rad games, awesome activities and an exciting, interactive message just for kids. Wait, we almost forgot…we’ll also have a PROFESSIONAL BALLOON ARTIST and a FACE PAINTING BOOTH that is sure to leave your child with a smile. It’s a Back to School Bash to remember!